Internationally acclaimed entertainer and vocalist is stealing the hearts of audiences around the world. 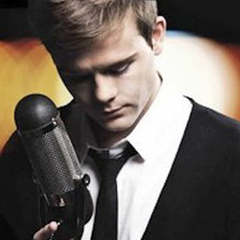 A celebrated and accomplished recording artist, Will has achieved phenomenal success in his home country of New Zealand, as well as in Europe, becoming the youngest man in history to top the UK Classical Charts. Described by one fan as a "once in a generation talent", Will gives a new voice to the music of the late, great Dean Martin.